Geraldine in a Bottle: Are you not professional when you're not memorized? Are you not professional when you're not memorized? 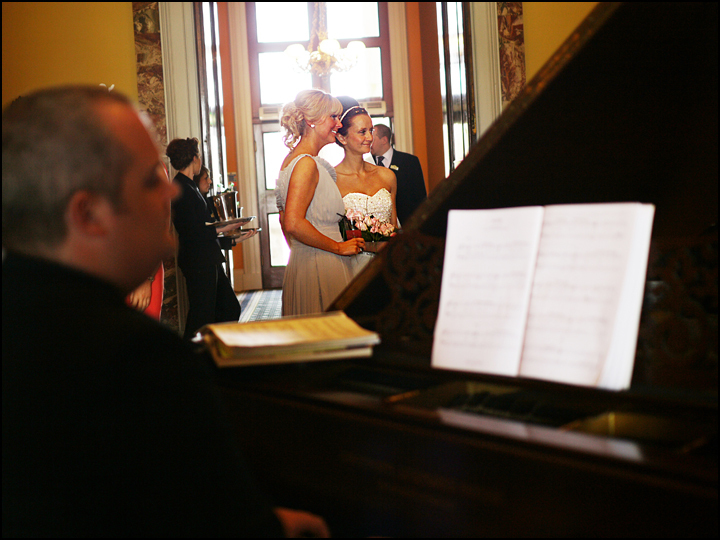 The following paragraph comes from a wedding pianist's website, on an article titled "How Much Does a Wedding Pianist Charge?" "I offer you 5 hours of professional, appropriate, memorized repertoire. You want your professional to interact with your guests, be inviting, approachable, and ensure your guests feel welcome! 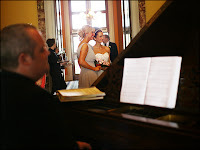 For weddings/events that may require special music, there would be sheet music on the piano as the only exception." I personally believe a musician can interact with guests and be inviting while reading music. I also think that musicians nowadays need to be more versatile than ever, and that it isn't a reasonable expectation to request memory at all times from them. Definitely agree! I think it creates more stress and anxiety to have that expectation from society or certain important individuals. Just as we all learn differently, as performers we are entitled to our own sense of style, and for some that may include performing with the score. I would rather do that than not perform at all because I lack the time to memorize. Is a musical phrase the same as a spoken phrase? Should you have a back up plan? What is the one class missing in a music degree?